Autism is a very diverse condition, and as such, it is often referred to as being a “spectrum” disorder which encompasses many different types of disability, all of which can affect unique individuals differently. When it comes to distinguishing the various forms of “high functioning” autism, one can encounter challenges, as the level of disability is itself less obvious, and its impacts are therefore more subtle and hard to differentiate. The primary difference between the two conditions is generally found in the area of language development (notably, those with Asperger’s syndrome usually do not experience delayed language development while young) but the differences go beyond this one area, and have been subject to a certain amount of debate and controversy over the decades. The term “autism” was originally coined in 1911 by psychiatrist Eugen Bleuler, and was at first meant to denote the social withdrawal and detachment that often accompanies schizophrenia (indeed, the word “autism” translates to “selfism”). Later, in the 1940s, when both American Leo Kanner and Austrian Hans Asperger were working on defining the childhood disorders they were treating, they came across the concept of autism in their research, and decided it was an apt description for the various symptoms they had been attempting to treat in children. Over time, Kanner realized these children were not actually experiencing schizophrenia, but rather something else, which he dubbed “infantile autism”. Asperger added onto this body of knowledge by ascertaining that some of the children referred to his child psychiatry clinic were suffering from a condition that had not been hitherto properly described, but which loosely fit what Bleuler had defined as autism (and which lacked the acute psychosis of schizophrenia). Kanner’s work was highly accurate and detailed for its time, and formed the cornerstone of future research into autism, particularly after his paper (published in the UK in 1943) gained widespread recognition in the English-speaking world. Following Kanner’s paper, the diagnosis of ‘infantile autism’ came into popular use as the 1950s and 60s progressed, and Kanner’s work largely overshadowed Asperger’s, who remained mostly unknown outside Europe. Over time, academics, along with Asperger himself, noted that Asperger’s and Kanner’s autism bore striking similarities. Judith Gould and Lorna Wing, in particular, contributed by conducting a revolutionary study in the late 1970s that demonstrated autism existed on a continuum. It was during this course of this study that the phrase “Asperger’s syndrome” was first used to describe a higher-functioning sub-group of the autism patients surveyed. 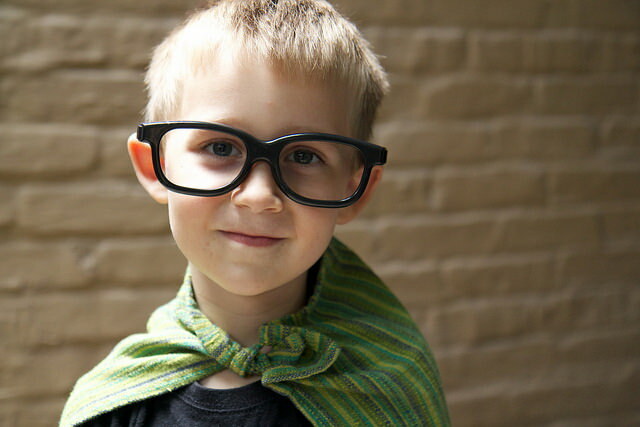 Asperger’s came to be seen as a more “positive” diagnosis, with less social stigma attached to it, creating some controversy around the prevalence with which it was thereafter used. Asperger’s is generally accepted as presenting without significant impairments to cognitive function, meaning that the patient is usually found to have no additional learning disability and an IQ that is average or higher. However, this is not always true, and some people with Asperger’s may present with common learning disabilities as well (such as dyslexia) without having full-blown autism. It is generally agreed that no high-functioning form of autism can occur in someone with an IQ below 65-70. Asperger’s syndrome is thought to always present along with impairments in fine motor control; this strongly overlaps with other forms of autism, however. According to the ICD-10 (International classification of diseases) and DSM-IV (Diagnostic and Statistical Manual of Mental Disorders), for a diagnosis of Asperger’s syndrome, spoken language development must not be impaired. Children with high-functioning autism, on the other hand, often present with significant language impairment. Controversy is rife in this area, however, as Asperger himself claimed that speech and language issues are a key feature of Asperger’s syndrome, albeit not often to an intensely impairing level. As Asperger’s often goes without a diagnosis until adulthood, it’s difficult to accurately assess how many children with the condition have issues with language in early life. Another murky area surrounding the differentiation of Asperger’s and high-functioning autism presents in how many children are diagnosed with HFA when young, then the diagnosis is later changed to Asperger’s after the child enters school and deficits in his or her social functioning are more keenly observed. The lines between these two conditions remain blurry, and no doubt will become better understood over time (potentially leading to the dissolution of one term, or more specific terms and criteria). At present, we know that both those with high-functioning autism and Asperger’s syndrome cope with the same few areas of impairment common to all forms of autism, and that people in both groups function with an average or above average intelligence. The key thing to remember is that therapies proven effective for one condition are generally effective for the other, so regardless of diagnosis there is a great deal of hope for the patient, that he or she will go on to lead a full life. Likewise, all patients on the autism spectrum present with unique symptoms, so understanding truly must happen at an individual level irrespective of diagnosis. That being said, if someone you care about has one form of autism, it’s worthwhile to research the spectrum as a whole so as to gain a thorough understanding of the condition.